Yesterday the blockchain went bananas (actually it had a baby lol). 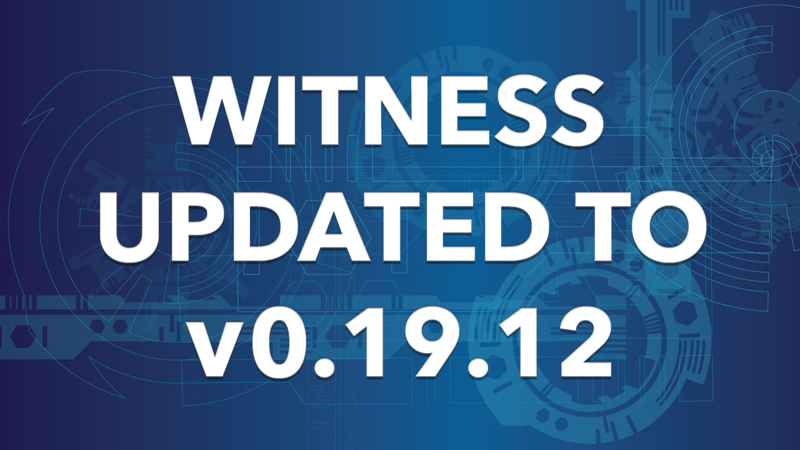 According to @someguy123, yesterday, due to a bug in Hardfork 20's code, the blockchain split into two causing the witness participation of the network to drop too low, at which time transactions on the Steem network came to a halt. But why did this happen yesterday? From what I've read, most of (if not all) of our top 20 witnesses switched over to HF20 yesterday, or some time before. This is in anticipation of the September 25th Hardfork. Keep in mind that just because their servers upgrade, it doesn't mean that the blockchain automatically upgrades. But something in the software code running on these servers caused the error and brought the blockchain to a standstill. But don't worry, Steemit Inc. and their developers are working hard to patch the issue. It's actually a good thing this happened now instead of later. Luckily, we have some very experienced and dedicated top 20 witnesses who worked together to get us back online. Many of them got no sleep during this process as they tirelessly worked to get the network stabilized. Will We Go Live with HF20 on September 25th? I really don't know the answer to that... but I have a good feeling that we will. As you can see from the pinned message below that I grabbed from the witness chatroom, we're currently rolling back to version 19. This was actually an upgrade for my server because I was previously running 19.6 prior to the crash. My server got stuck due to yesterday's events, so I decided I may as well go ahead and upgrade to appbase with version 19.12. This upgrade to my server didn't take too much time, thanks to @someguy123's patch which he quickly issued to github. I was able to update my version and replay the blockchain in just a few hours. Thanks to people like him, running and maintaining a witness server has become a lot simpler. But we still have to stay plugged into the groups, the development team, and what's going on with the blockchain. And as a witness, I'm happy to say that I have every intention of doing just that! thanks for the update man. always good to know the witnesses i vote for are on top of this stuff. ya saw that. actually was going through the names and some really caught me off guard as not getting things rocking yet. While I was mostly calm during the day because I was traveling, I was disappointed on the lack of communication as the witnesses dealt with this. It was probably more due to the fact that I was not able to get one and engage as much as I have been used to. Either way, there needs to be a better way to discuss these issues as many can make this a FUD generator pretty quickly. I would jump on steem.chat #witness group and you can see the craziness going on when stuff like this happens. Just keep in mind that group is for witnesses to communicate about patches, updates, etc. but you can still join and watch. You won’t miss anything there for sure! Can I get a witness!! Thank you @brandonfrye and @someguy123 for taking prompt action to remedy this situation. We have such a top-notch community here on Steem. If anyone hasn’t voted for Brandon as witness to help uplift and uphold our beloved blockchain, please do so right now. Looking forward to HF20 as it paves the way for SMTs next year 🙌🏻 Steem on! Thanks @kenmelendez! Appreciate your recommendation man. 😊 Here’s to HF20 happening on 9/25!! Glad to see you all got it fixed and that is the main thing. Thanks forthe update. Thanks for the update and insider info. It is reassuring. I'm just grateful that the issue resolved timeously. Hope the bug fixes put in place will ensure no further recurrence of this problem. Hey man, I just found your post about becoming a witness, and I was wondering what the hardware reqs were for HF20 because I haven't been able to find set-in-stone ones. Working on setting up a test on my gaming laptop (powerful enough to run it) before I set up a server and I would love some help. You got my vote for this update tho, good catch on it.